Iced coffee or iced tea? Whatever your cold comfort is, kate spade new york's 20 oz. tumbler with straw keeps the temperature cool and reduces your carbon footprint at the same time. 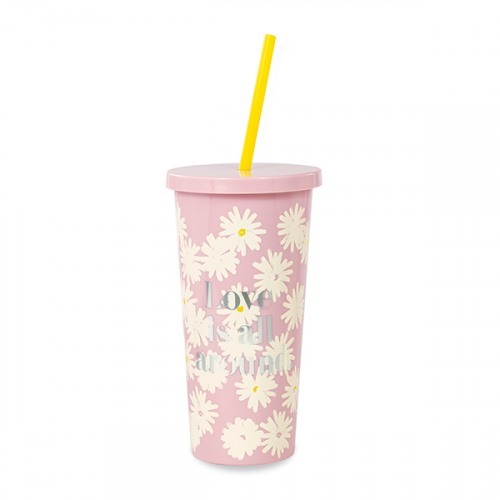 The pink tumbler has a daisy pattern with the stacked block phrase "love is all around" in silver foil. cheers! bpa-, phthalate-, and lead-free.